Airdate: My France with Manu. Bumped: Sunday Night. Seven’s two-part travel-cooking series My France with Manu, premieres at 7:30pm this Sunday in Sydney and Brisbane. 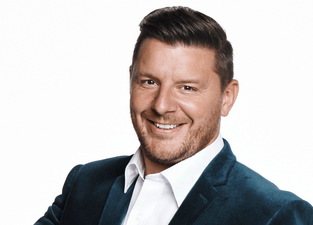 As first revealed by TV Tonight, Manu Feildel heads back to France, to showcase the food, and share his memories of his homeland. As a result Sunday Night moves to a “special time” of 6:30pm on Sunday, away from its head to head battle with 60 Minutes, and back to where it first began. In ‘AFL states’ My France with Manu airs 8pm Thursday April 10. Manu left France when he was 18-years-old to conquer the world as a chef. Now he returns to the place he grew up to see how much it’s changed, to reconnect with friends, to catch up with family and to rediscover himself. Manu tells us about growing up in a family of chefs and his desire to break tradition by joining the circus. We visit the places that inspired him and taste the gastronomic delights that evoke these memories. He tries the jobs he could have done if he had stayed behind and returns to the Big Top to put his circus skills to the test. Manu makes his way from the north of Brittany and south down the Atlantic coast by seaplane, sand yacht, canoe, boat, donkey, vintage Renault and even a mechanical elephant. Along the way he meets the locals and catches up with family and friends, while sharing some of his favourite recipes. More than a cooking show, more than a travelogue, My France with Manu is a heartwarming journey of discovery about the man in Manu. It depends on what state. Some are Sunday night, some Thursday, others?? Ditto for Downton. It’s all in the article above. @Maev…. At least you know the day the shows on and you know it wont change! @chivasssimo But in Dinner Date he was primarily a narrator. I’m not so sure about how well the MKR popularity will transfer to his own show. Didn’t he already have a show called Dinner Date? We haven’t seen that again , have we? So no MKR on Sunday, any word when it will finish, seems to be dragging! Surely by Easter! I like Sunday Night…but difficult to show an allegiance when it is on and off and different times….I do not like chasing shows. Melbourne and Adelaide only know AFL Football coz their Heartlands. Why wasnt this called Manu’s France. that would have made more sense. Anyway this show could work if its more about food and lifestyle and offering a geniune information about french foodd and lifestyle instead of it being all about Manu. Part 1 will be shown in Melbourne and Adelaide next Thursday week (April 10) at 8pm, due to Sunday night AFL. I’m sure I saw a promo for this during last night’s MKR saying it was on at 6.30pm as I immediately thought “well when is MKR going to be on then”? IceTV has TBA for the 6.30pm slot and Sunday Night at 7.30pm. Yeah tvf i agree, i just checked the epg on foxtel iq its saying 7.30 – 10.30pm AFL, no mkr or My France with Manu, need some dates from the missing episode of mkr and My France with Manu. Don’t think this will be in all states. In Melbourne there is the afl – carl vs ess starting 7pm on seven.